​Hi everyone, my name is Lulu (l prefer to be called Lu) and l have over 30 years experience as a Photographer. I studied creative photography at Monash Uni and believe me "Creative Photography" is just a basic necessity for my job. Action Photography, Night Photography and contemporary Abstract Photography. The photography studio is now open for a limited number of photography classes. 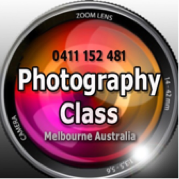 S​o if you have ever wanted to learn photography,with a small group of fun-loving people, Now is the time!